Tishamingo is getting a lot of exposure on the jam band circuit. They really only fit so well into that category, though. Truly their sound is firmly rooted in the bluesy rock that was so popular in the 1970's – think Cactus, Aerosmith, Led Zeppelin, etc. They sound like they could have stepped right out of 1976 and right into your living room. Fans of that genre should really pick this disc up. While I enjoyed their last album a lot, I'd have to say that this one is the better of the two. It will probably wind up on a lot of “best of the year” lists. 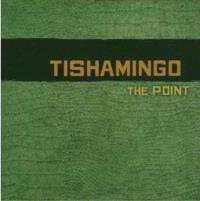 This one scorches in as a killer helping of Tishamingo's vaguely Southern rock toned jam band sound. The fiery sound that begins this doesn't last long, though. Instead they drop it back for the verses but power back up in style on the choruses. This includes a foray into nearly fusion-like territory and some screaming (yet tasteful) guitar work. It's a great way to start things off in style. This comes in with even more of that Southern sound and feels a bit like Mountain to me. It's incendiary bluesy jamming with all the parts right where they should be. The killer riff on this one also has some elements of Molly Hatchet. The instrumental jam on this one is purely brilliant with a lot of early Aerosmith leanings to it. They drop it back here for a cut that starts on keyboards. As it moves out into the song proper this has “classic rock” written all over it. Imagine the Beatles jamming with Free and you'll have a decent idea of the songwriting on this cut. The break down later has an almost Jelly Fish does the Beatles approach. The retro sounding keys on the jam afterwards are great. This whole song is another killer. This one is a bit slower and more bluesy than some of the other material here. It feels rather like the Allman Brothers combined with Free. It's another smoking slab of new classic rock. A down home acoustic blues leads this off. The vocals come in keeping with this style. You might picture early Aerosmith taking on the traditional blues textures. They eventually power this out a bit more as it carries on. As it shifts out from there, though, it moves to a more expansive classic rock song for a time, but again I can hear Joe Perry, Steven Tyler and the boys doing this. It jumps back to the zone from which it comes, but then powers up into a killer jam based on the main musical themes. This segment has a lot in common with Aerosmith's version of “Train Kept a Rollin'.” When the tempo drops back for a dramatic guitar solo dominated section it's a great change of pace. I'd have to say my one complaint here is that they drag that portion out a bit long. Starting with more retro keys, this pounds out as a bouncing, bluesy jam that has similarities to the sound of the Black Crowes. They drop back to just the keys with percussion for the verse. This is a slower number, but no less tasty. I even hear a bit of Little Feat on this. It's not a bad cut, but it's a little lackluster compared to the material around it – and it also has tendency to be a little overlong. Now this is more like it! Screaming in with one of the meatiest gritty, blues rock textures on the album, this one just scorches. You might hear some Aerosmith and perhaps some vintage ZZ Top on this. “Bad News” is definitely one of my favorites here. A slower, balladic cut drenched in Southern rock, this is another highlight of the disc. It's incredibly meaty and emotionally powerful. This is reworked later into a more screaming, bluesy jam and is one of the most dynamic songs on show. It might also be my ultimate favorite on the CD. This starts off in the most sedate and unique ways of the whole disc, with mellow keys serving as the introduction. It drops to another bluesy sort of jam with retro textures. The funny thing is, I can actually hear a bit of Guns N Roses on this jam, right next to some Pink Floyd (in terms of the keyboard sound). The Black Crowes are also represented. This track certainly stretches further from the bluesy Southern rock textures that make up the majority of the album. It's a nice change of pace, but not one of my favorites. I hear a combination of The Rolling Stones and Aerosmith swirling together on this fun jam. This is less hard edged than a lot of the other stuff and as such is another cool change of pace. I'd have to pick this one as another highlight. This has an Outlaws meets the Ventures texture to it. I can also hear a bit of Cracker and Chris Isaaks on this shuffling arrangement. Another song that presents a change up from the majority of the music, I have to wonder if the overall flow of the disc might not have been served better by putting a few of these “different” numbers earlier in the album. Either way, this is a cool cut and works fairly well to end the disc.